Mixed reality experiences bring together augmented reality (AR) and virtual reality (VR) to blend what is happening in the real world with what is occurring in a digital space. The technology is still emerging, but it is coming along quickly, particularly in sectors such as manufacturing, where the use cases are evident. In the manufacturing world, training almost always requires some degree of risk. What if a new maintenance technician accidentally mishandles a machine during training? What kind of safety risk is presented when somebody is learning to use certain types of equipment for the first time? Traditionally, businesses have dealt with these types of risks through a combination of heavy supervision and strategic training programs that ensure adequate classroom learning prior to interaction with machinery in real-world settings. While you can't completely eliminate risk, virtual reality solutions can enable users to interact with virtual models of equipment and work with simulations of the real-world environments they will need to interact with. This can allow for more robust training programs that reduce some of the risk of working with unfamiliar equipment. AR solutions are rising in manufacturing. Computerized maintenance management systems, warehouse management software and similar technologies have long aimed to give employees tools to quickly verify and track compliance with best practice while they work. However, most of these solutions require use of a handheld device, which isn't feasible for most production workers. A pilot project for General Electric highlights how mixed reality could change this situation. According to GE Reports, one GE team is using readily available hardware combined into a specialized system from Light Guide System to create an augmented reality overlay for its production line. The solution tracks user activity and lists off key steps users need to take on the equipment itself. This lets employees get critical information in the environment around them without having to interact with a dedicated device. In essence, the AR solution is driving better engagement and productivity by blending the digital data pertaining to a process with the physical world where the task is being completed. "Simulating real-world environments is particularly invaluable when dealing with internal components." A Manufacturing Net report highlighted design as one of the most popular use cases for mixed reality solutions, as the ability to create items and simulate conditions in either AR or VR can bring design to life without forcing organizations to build prototypes or create pilot projects. Furthermore, simulating real-world environments is particularly invaluable when dealing with internal components that are difficult to monitor within prototypes. 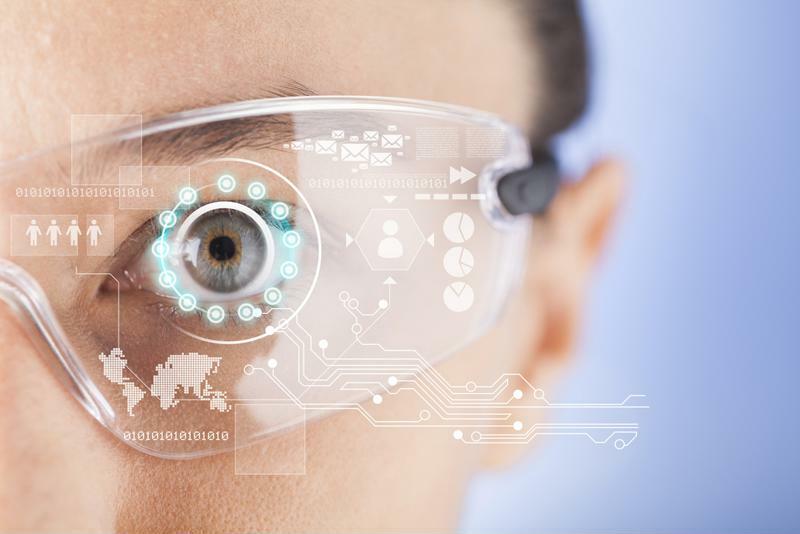 While these types of solutions may seem the purview of large companies with big budgets and freedom to experiment with technology, a Wired report showcased how a new iteration of Google Glass is gaining rapid acceptance among manufacturers. Highlighting a project in a Minnesota-based agricultural equipment manufacturer, the report explained that Google Glass 2.0 takes the consumer-focused technology of the original Google Glass and moves into a safety glasses format that is workable in manufacturing. The technology is already being used in production environments and getting positive results. Eliminate any lingering paper-based processes so you can more easily transition into modern digital environments. Invest in large-scale data management solutions, such as enterprise resource planning platforms, that allow you to house your data in centralized locations to integrate information across lines of business. Identify gaps in your network and ensure you offer connectivity across your production and warehouse environments without disruption. Establish a cohesive cloud computing and enterprise mobility plan that lets you expand your use of digital applications without having to take on excessive infrastructure burdens. These types of tactics can begin the digital transformation that needs to take place so your business will be ready for when mixed reality becomes more cost efficient and necessary to compete.